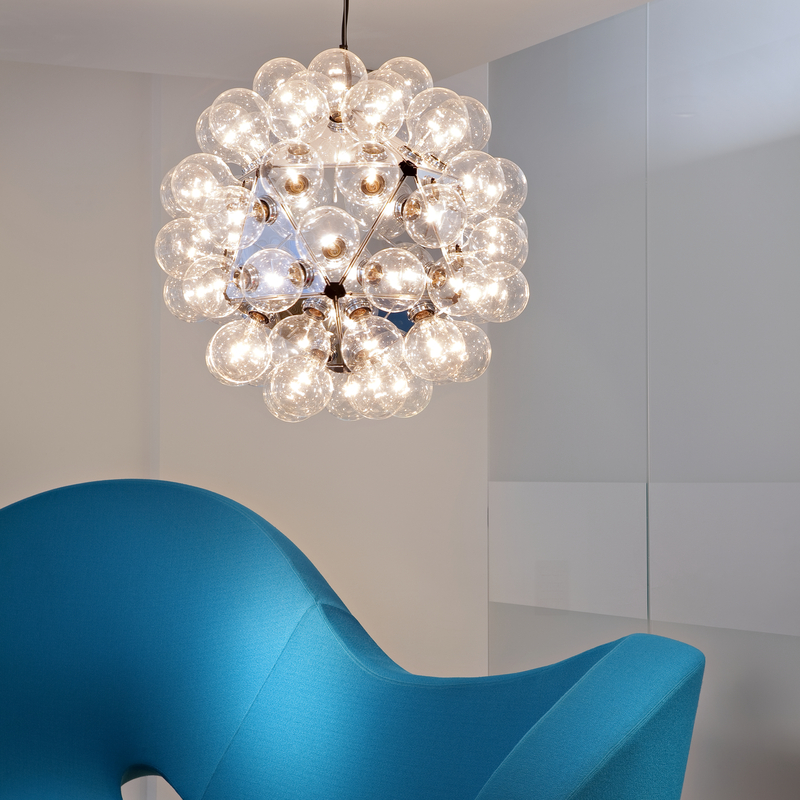 The pendant lamp by Flos Taraxacum 88 S1 is the modern continuation of Taraxacum series of 1960. It is not, however to a slight revision of the classic from Flos. With the Taraxacum 88 S1 Achille Castiglioni presented in 1988 a completely new pendant light, the integrated 60 bulbs as a design element. The resulting exceptional optics and the high luminosity make the Taraxacum 88 S1 an absolute highlight.